The U.S. shale gas market is out of balance with production outstripping demand. The shift in production locations has shifted the needs for transport, especially in the Northeast with the development of the Marcellus and Utica shale resources. Will the current patterns persist? Despite all the talk about shale gas development — the potential environmental consequences of hydraulic fracturing, the potential to replace coal with gas for generating electricity, the potential for the United States to export liquefied natural gas (LNG) — none of it addresses the bigger picture: The market is structurally out of balance, and it can’t stay this way. The technological triumph of shale gas has led to production that far outstrips demand, and if this were a normal market, price and demand shifts would have already delivered a quick rebalancing. The drop in gas prices has resulted in a shift in upstream activity toward liquid rich plays. The wind of change is also affecting midstream in very material ways. Parts of the natural gas infrastructure are now operating at under capacity (gas pipelines in Louisiana and parts of Texas) and a few assets have been converted to address the choke points created by the rapid development of shale oil (conversions have taken place to move crude east toward Lake Charles). Some crude pipelines have reversed flow (e.g., Enterprise Product Partners’ Seaway Pipeline) and others are considering change of service. Over the past 20 years, gas prices have fluctuated between $2 and $15 per million Btu. At the low end, the producers are not viable, and at the high end, potential users of gas cannot afford to use it. Will we face more years of such fluctuations before achieving balance, especially since numerous decisions affecting that balance are still up in the air? And yet, bets must be placed now. Should the midstream players bet on a return of activity in the dry gas basins or should they double down on the liquid rich plays? The hydrocarbon business is all about balance. Balance among production, refining and converting, and marketing has been a vaunted but elusive goal for more than a century, as Daniel Yergin chronicles in The Prize, a Pulitzer Prize-winning history of the global oil industry. An investment in one industry sector (for example, upstream exploration and production) may be useless unless paired with appropriate investments in other sectors. In the oil industry, factors encouraging balance include vertical integration — global companies that control everything from exploration to delivery — and regulation of production, either overtly through organizations such as OPEC or more naturally through high barriers to entry. In the gas industry, those factors are lacking. 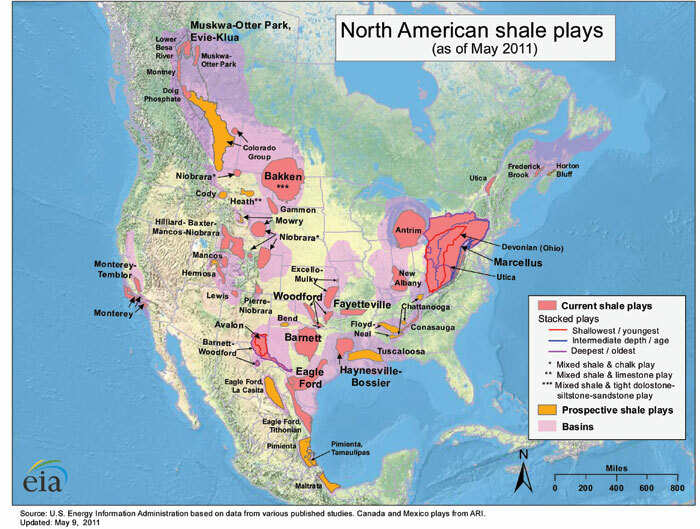 So the relevant questions are not so much, Is the shale gas boom real? Or, Is it here to stay? (The short answer is yes.) The questions companies should be asking are, How will the natural gas glut rebalance in the long term? What impact does this have on infrastructure decisions? As an analogy, consider the U.S. deregulation of natural gas wellhead prices in 1989. Was it real? Was it here to stay? Yes, but after a brief period of sustained low prices in the 1990s, the industry has been plagued with volatility. Prices have bounced up and down, sometimes benefitting producers, sometimes end users. The problem has been balance. When prices were low, up went the infrastructure of gas-fired power plants and pipelines. After the investments were locked in, all that demand sent gas prices so high that much of it could not be used. Will the same thing happen again? We can’t say for sure because the factors are different and some of them are yet to be determined. But we can say this: The industry is still not structured to achieve win-win scenarios. It is not integrated, which means that big trends in one area can go almost unnoticed in another. Understanding what’s going to happen requires first understanding who all the players are. Independent producers focus on short-term plays and have an investment time horizon of just a few years. They are not afraid to take risks, have few barriers to entry, and can bring on capacity quickly and inexpensively. But if gas prices stay below $4 per million Btu, many players with predominantly dry gas portfolios will continue to struggle and possibly go out of business. Super majors and global producers take a longer view on their investments and can afford to delay investment in certain parts of the world if local conditions are not favorable. Midstream players, which are predominately arranged as master limited partnerships (MLPs) at this point, are driven by the desire to secure the proper yield for their shareholders. The inherent cost of capital advantage they have over the exploration and production (E&P) companies means they can make investments in infrastructure the E&P companies can’t. This has manifested in a slow buy-out of the E&P held infrastructure by the MLPs. 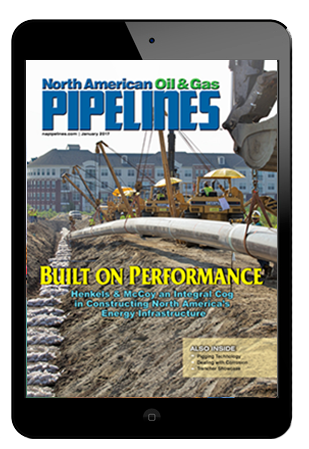 It is clear that fewer investments are being made in natural gas pipelines in the current market, but if the glut in supply starts to abate, there could be opportunity. Gas exporters are eyeing liquefaction facilities on the coasts that could competitively export LNG and take advantage of high prices abroad if the price spread between the United States and overseas markets stays above $5. Although 4.5 trillion cubic feet of capacity has been proposed, these facilities could cost up to $10 billion per trillion cubic foot and take a minimum of five years to permit and build. Chemical companies are looking at natural gas liquids (NGL) as feedstock. Low-cost ethane (as a substitute for byproducts of crude oil refining), for example, makes polyethylene cheaper to produce in the United States than anywhere in the world except the Middle East. So the industry could build eight to 10 (or more) new gas crackers at approximately $2 billion apiece, including some downstream investments, but it would need confidence in ethane prices being competitive for 10 or more years. Power generators want low-cost gas to generate electricity. Before the shale boom, existing gas plants were operating at less than 50 percent of capacity. However, they can ramp up quickly and squeeze out other forms of power generation, primarily coal. If power generators knew gas prices would stay below $6, they could begin replacing existing coal plants with gas plants that take just two to three years to build. Some of these players are already pairing up. Chemical companies are signing long-term ethane supply agreements with shale NGL producers and midstream companies. LNG companies are doing the same with their suppliers and their customers. Others are staying single for now, at least until there is more (or a narrower range) price certainty and fewer wildcards. If supply and demand were stable and investment cycles were shorter, it would be easy for market forces to align them. But the U.S. market for natural gas and NGLs is driven by several diverse and unpredictable variables: the global economy, oil prices, energy and environmental policies, a rise in the global gas supply, or technological advances that are still unknown. Although these variables could interact in any number of permutations, A.T. Kearney’s analysis finds five scenarios that could capture a range of potential outcomes. The most likely scenario, which we call free markets, involves the least dramatic changes from current conditions. In this scenario, GDP growth is modest, oil prices remain within current trading ranges, LNG export becomes a reality, and no major global natural gas production or technological advance affects the balance of forces seen today. We believe the price of natural gas in the free-markets scenario will find equilibrium by 2020 in the $6 to $7 range. Any lower than that and production from dry-gas wells would not be profitable and would not increase sufficiently to meet demand; any higher and demand from power plants will wane. But in this range, demand is high in all major sectors, leading to high margins for producers and strong capital investments. In this free-markets scenario there will be a need to continually supply the LNG export facilities with gas. This will mostly rely on current midstream infrastructure but debottlenecking and linking to new production areas in more profitable shale plays would occur as economically appropriate. This would likely result in the Fayetteville, Haynesville, Barnett and other similar formations to flow toward the Gulf Coast for export and chemical production markets. Troubled times. A geopolitical event triggers a disruption in oil supply, sending oil prices up and the global economy into a double-dip recession. Natural gas demand collapses to 20 percent below the free-market scenario level. Limited export. The U.S. government decides to limit natural gas exports and provides support for other fuels in an effort to achieve energy independence, thus depressing natural gas demand. Global gas competition. Other major economies are successful in developing wet shale plays. As a result, demand falls for both LNG exports and ethane-based chemicals from the United States, challenging the overall economics of shale gas plays in North America. High output. Robust global GDP growth and lack of global shale developments lead to the highest level of U.S. natural gas demand. These scenarios represent a combination of various, and sometimes drastic, supply and demand discontinuities. Nevertheless, the resulting gas prices are spread across a surprisingly narrow range of $5 to $8 per thousand cubic feet (mcf). We believe market trends point to a strong future for natural gas and its ability to pull prices up structurally, with upstream production economics determining the floor price and competition between coal and gas defining the ceiling price. One of the biggest difficulties in looking forward is knowing when a current trend represents lasting change and when it is merely a bump in the road. Shale gas represents lasting change, but every change has many paths to balance. And on the road from here to long-term balance, there will undoubtedly be many short-term irritations — a mild winter, a Middle East crisis — that will send some analysts to wrong conclusions. The regulatory certainty and more balanced pricing reflected in the free-market scenario could provide a foundation of stabilized demand on which to build investments. That’s a likely path to long-term balance, but even it would be filled with both short-term bumps and more serious detours caused by players with different incentives. The continued rise of the MLP business model in midstream has been in direct response to the low return on capital of these assets and the shifting focus areas of upstream production. This will most likely continue but there are some situations where integrated oil and gas companies should consider pipeline ownership: being able to secure economically effective transportation capacity to link upstream and downstream markets can be a matter of strategic importance, especially in areas of new development. Those companies interested in expanding their midstream business have to pay careful attention to the shifting production and demand patterns created by the combination of how the gas equilibrium is reached and how the access to cheap gas and chemical feedstocks is exploited. While many opportunities have been and will be created, there is a danger of over-building and getting stuck with underused assets. The winners will be those that fundamentally understand the cross-industry dynamics and can create a stable position with proper economic return. Herve Wilczynski is a partner and Brian Forbes is a principal in A.T. Kearney’s Energy Practice. They are both based in Houston and can be reached at Herve.Wilczynski@ATKearney.com and Brian.Forbes@ATKearney.com. A.T. Kearney is a global management consulting firm.